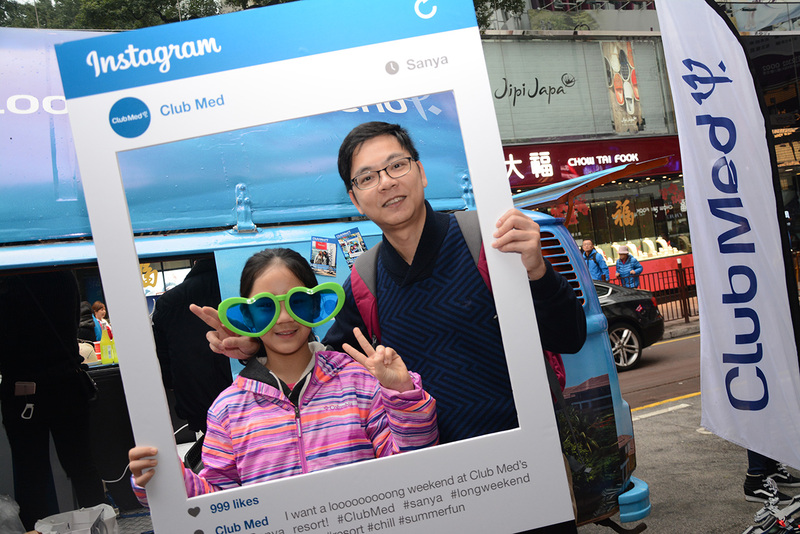 Key objectivesTo establish Sanya as a perfect location for a weekend getaway among the target audience, and differentiate Club Med Sanya from other hotels/resorts in Sanya/Hainan. 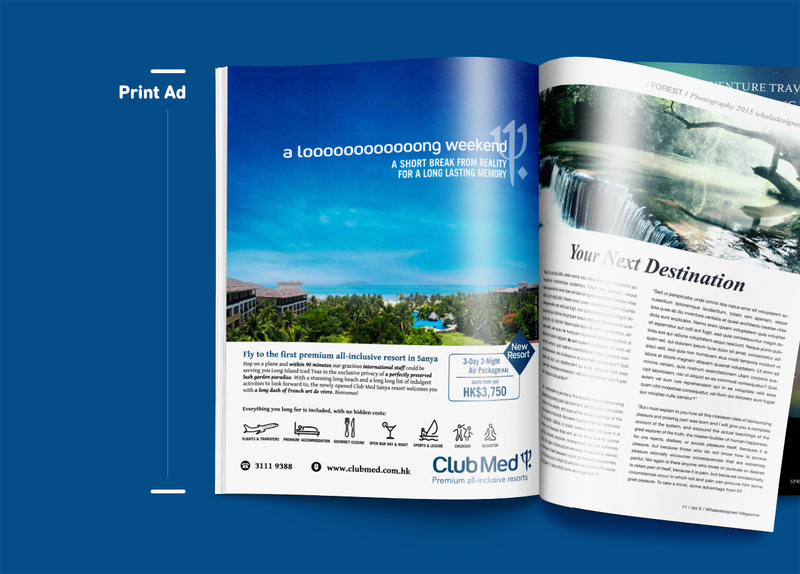 DeliverablesA featured Facebook contest was launched to raise attention with digital-ad placement and eDM sending to existing Club Med members. 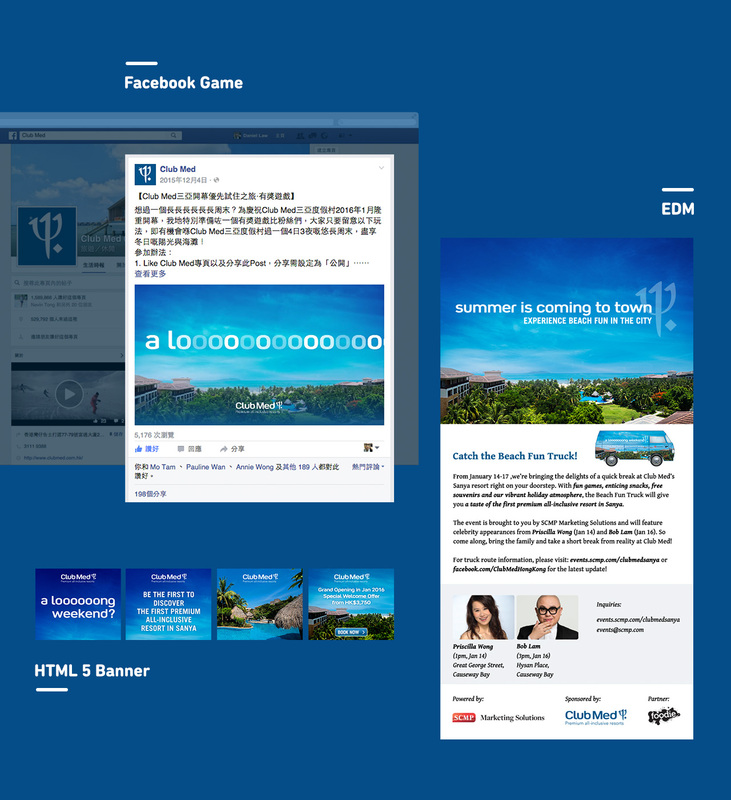 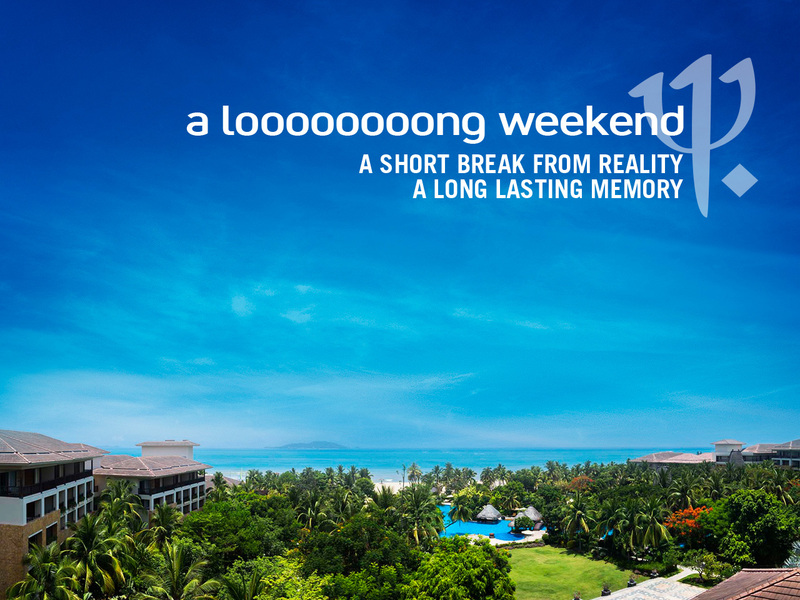 Print, digital ads and another Facebook game were deployed to announce the grand launch of Club Med Sanya Resort. 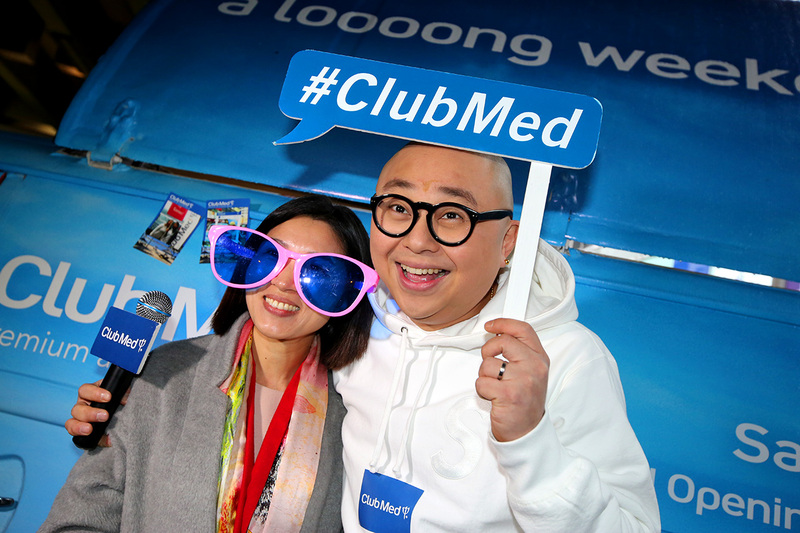 SCMP continued with the promotion of the Resort’s grand launch by holding a 4-day truck tour event with “Club Med Beach Fun Truck”. 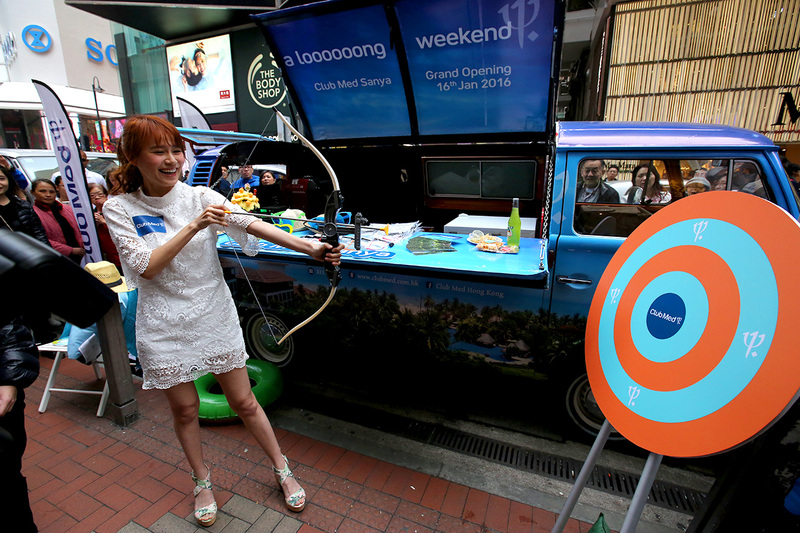 Key elements of the event included celebrity appearances (Priscilla Wong and Bob Lam) to attract maximum media exposure, as well as an F&B giveaway, games and dance performances to engage passersby.